Below you will find a small sampling of what our clients are saying about Synergy Soup and how our staff dedicates their efforts to providing excellence in service. We have many more...just contact us and ask us to provide you some references. "When we began to investigate web site designers, we interviewed many. But far and away Synergy Soup stood out as the obvious choice. Clearly from the start customer service was very important to them. Before getting in the design phase of our web site Frank wanted to get to know us. It's Frank's philosophy that he can't design a site we would be happy with if he had no idea what we were about." ..."During the design phase, Frank came to our Studio to show us many web designs to further define our need for our web site Once we had a design idea it was only a matter of days before we were able to see a first draft of our web site." ..."After working with Frank and Synergy Soup, I know I'll never need to shop around for a web site designer again. 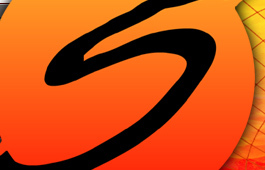 And I'm positive that anyone who decides to work with Synergy Soup will feel the same way." 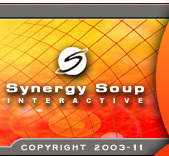 "Frank Cugini of Synergy Soup has been our web developer since 1999. In the 6 years I have known and worked with Frank he has been a consummate professional. His creative ability as a graphic designer and web developer is paralleled only by his abilities as a strategic, business-minded thinker. He is prompt and extremely customer oriented, and follows the golden rule of business. He will never promise anything he cannot deliver and always, always delivers what he has promised." "I would highly recommend Frank as an extremely talented and knowledgeable web developer and businessperson to any company, and plan to continue our relationship with Synergy Soup indefinitely." ..."Frank's entire staff and team have have been truly wonderful to work with. They were able to set up and deliver an audio system for over 100 dealers nationally to use on all of their tours in under one week! We were all quite impressed to say the least. The new audio feature has allowed our tour system to leap well beyond that of other tour technologies and has drastically increased sales for us." ..."In addition, anytime that we have a question about the site, or run into problems while managing the content in-house, Synergy Soup walks us through the situation with great patience and, very often, with a sense of humor." ..."It is with great confidence that I urge you to consider working with Synergy Soup on your next project." ..."Their expertise guided us through the process of developing a purpose and function for the site so that it could become a useful membership tool. They created an attractive interface and programmed a secure members-only section that would enhance the site's value and usefulness." ..."Once the basic structure of the site was complete, they personally trained our staff so that we could maintain and continually update it with new information." ..."We're pleased with their services and gladly recommend their web site design and development services." ..."Synergy Soup has been managing MSU's Healthy U Web site for the past four years." ..."We have been happy with the excellent customer service provided by Frank Cugini as well as his colleagues. Frank helped us develop a vision for the Healthy U Web site and provided the driving force of creativity." ..."Our customers, MSU employees, have commented on the professional look of the site and its functionality." "The purpose of this letter is to express my sincere appreciation for your creative and dedicated work." ..."The Stratagen web site is the most important communication tool I have next to an in-person sale call and I have to say it was done on time and in a professional manner."